I can’t say that I love keyboards as much as I love pens but I do believe that choosing the right keyboard is very important, especially when you interact with one as much as I do. Microsoft has been making peripherals for decades now and their last ergonomic keyboard, the Microsoft Natural Ergonomic Desktop Keyboard, has been around in one form or another since 2005. 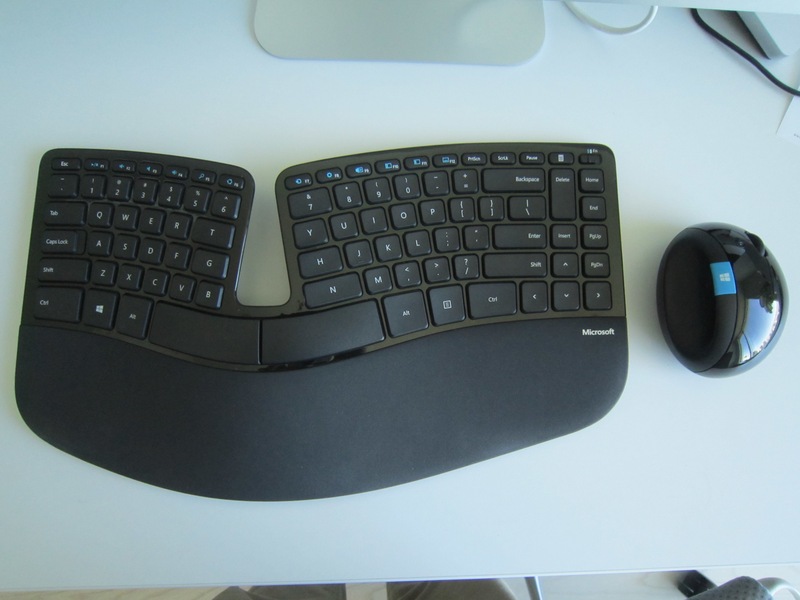 I had two iterations of the the Natural Ergo and it was an okay keyboard but not great. I had a couple issues with it: 1. the space bar was loud and too heavy and 2. the keyboard was enormous; it was so large that it left room for little else on my desk. I actually destroyed both of my Natural Ergos by knocking beverages on them; I blame these mishaps on the keyboard’s vast size (and a bit on me being clumsy). I have yet to spill a drink on any of my other keyboards of which I have had dozens. So to sum up the old one had a crummy space bar and was too big. 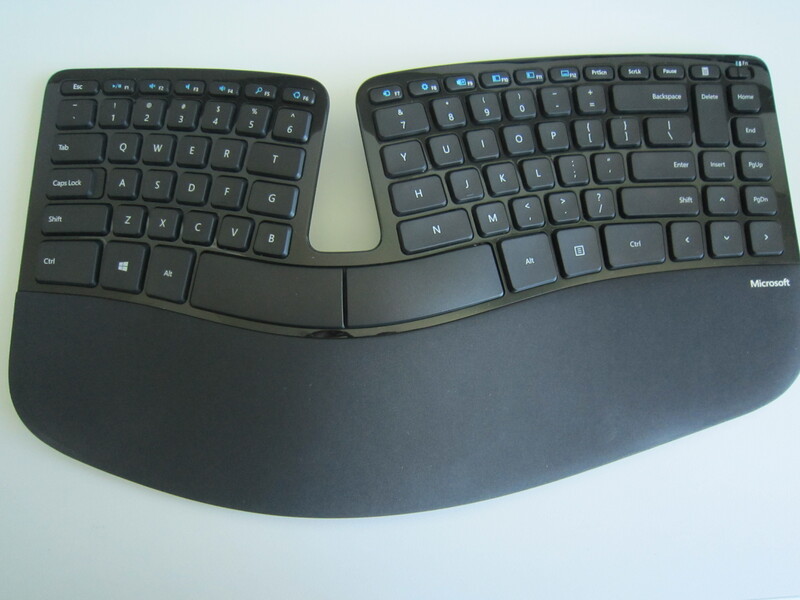 To my delight, Microsoft’s new ergonomic keyboard, The Microsoft Sculpt Ergonomic Desktop, attempts to solve both of the Natural Ergo’s biggest problems. The Sculpt Ergo has a split space bar and has a significantly trimmed down form-factor, going so far as to separate the 10-key from the main keyboard. This is still a large keyboard at 15.4″ wide and 9″ deep but it is significantly smaller the Natural Ergo which was almost 20″ wide. The Microsoft Sculpt Ergonomic Desktop comes with a wireless mouse, keyboard, and 10-key at a retail price of approximately $130. 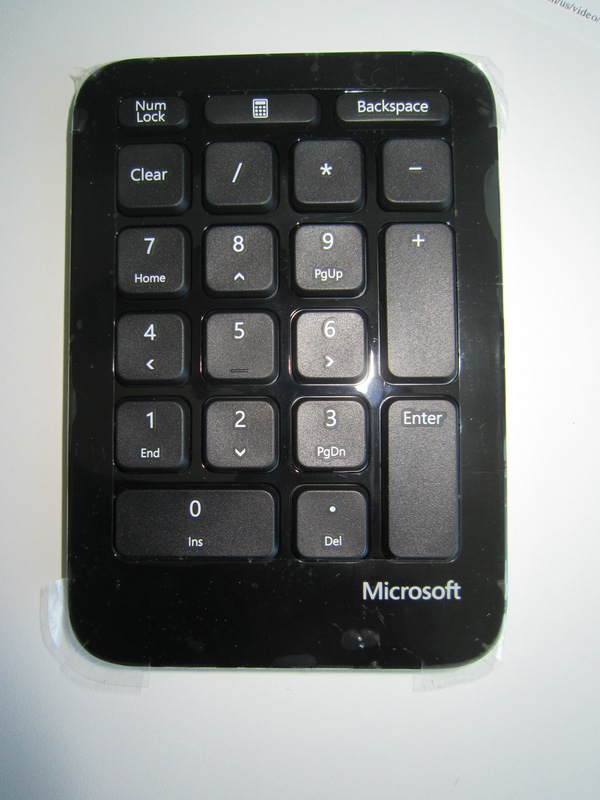 The keys are very light and resemble a laptop-style key with very little travel. The wrist pad is nicely cushioned and appears to be good quality. The keyboard also comes with a riser bar that lifts the bottom of the keyboard resulting in a higher wrist position for better ergonomics. I personally didn’t find the keyboard comfortable with the raiser bar attached. Sculpt Ergonomic Keyboard with magnetic riser attached. I quickly adapted to the keyboard and found it to be quite comfortable. I love the look of the keyboard, it looks futuristic and the cutout in the middle allows the keyboard to have less visual weight. The keys are surrounded in a shiny black plastic which does show finger prints and with heavy use will likely show scratches as well. 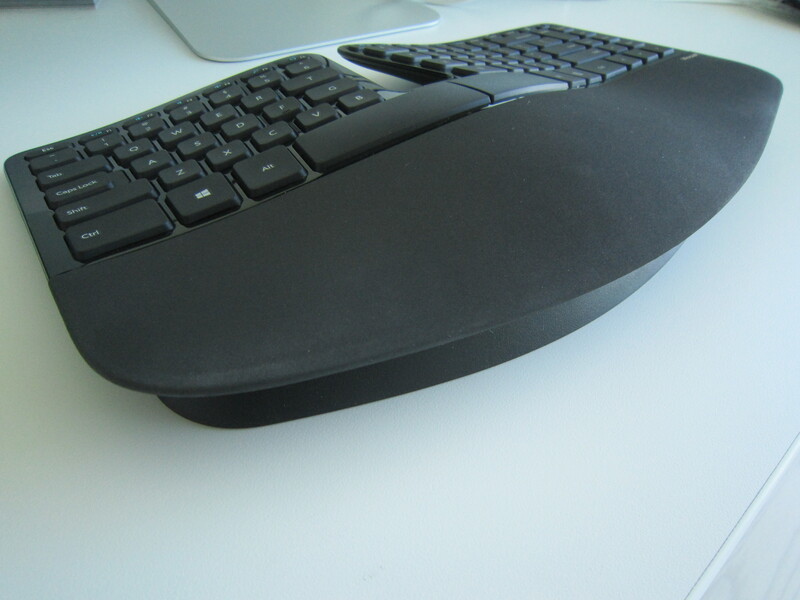 My favorite part of the Microsoft Sculpt Ergonomic Desktop is the mouse. The mouse is egg shaped and extremely comfortable to my hand, more so than the Goldtouch Ergonomic mouse I currently use. For larger hands though I suspect the Sculpt mouse will feel a bit small. Also this mouse is for right-handed people only as the rubberized thumb cutout is on the left of the mouse. The top of the mouse and the primary left and right buttons are made of the same shiny black plastic as is on my keyboard. There is a back button on the left in the rubberized thumb cutout. I found this button to be a little bit too high and initially had trouble locating the button. There is a bright blue Windows button on the top of the mouse. I haven’t tested the Sculpt Ergonomic Desktop on a Windows PC yet but it is my understanding that it brings up the Windows Start menu. The scroll wheel is notched and features four way scrolling. The Microsoft Sculpt Ergonomic Desktop is a big upgrade that is suitable for people who spend a lot time at their computer typing. I don’t think that the Sculpt Ergonomic keyboard will replace my current Kinesis Freestyle 2 Ergonomic Keyboard (review to come) but I will definitely keep on using the mouse.